Our infants can start as early as six weeks of age. We offer an environment designed with just the infant in mind. We have separate play and sleep areas to ensure minimal distraction for your child's sleep. The ratio in the infant classrooms is four infants to one caregiver. Your child's primary caregivers will provide tender loving care while rocking, reading, singing, and cuddling your infant. Our one-on-one activities are designed to stimulate social, emotional, physical, intellectual, and language development. Personalized schedules are offered to recognize and encourage each child's own uniqueness. Daily sheets are provided to share the highlights of your child's day. It is our goal to provide a nurturing, secure, and loving environment for your child to grow in. Our young toddlers are 12 to 18 months old. We offer an environment that will allow your child to explore the world at their own unique rate. The ratio in our Young Toddler's classroom is four children to one caregiver. Your child will have a primary caregiver whose goal is to provide most of the nurturing activities throughout your child's day. Our literacy based program is designed to stimulate social, emotional, physical, intellectual, and language development. Daily sheets are provided to share the highlights of your child's day. It is our goal to provide a nurturing, secure, and loving environment for your child to grow in. Our toddlers are 18 months to 2 1/2 years old. We offer a safe environment that encourages independence while providing gentle guidance. The ratio in our Toddler classrooms is four children to one caregiver. Your child will have a primary caregiver whose goal is to provide most of the nurturing activities throughout your child's day. Our literacy based program is flexible and hands-on. It stimulates social, emotional, physical, intellectual, and language development. Daily sheets are provided to share the highlights of your child's day. It is our goal to provide a nurturing, secure, and loving environment for your child to grow in. 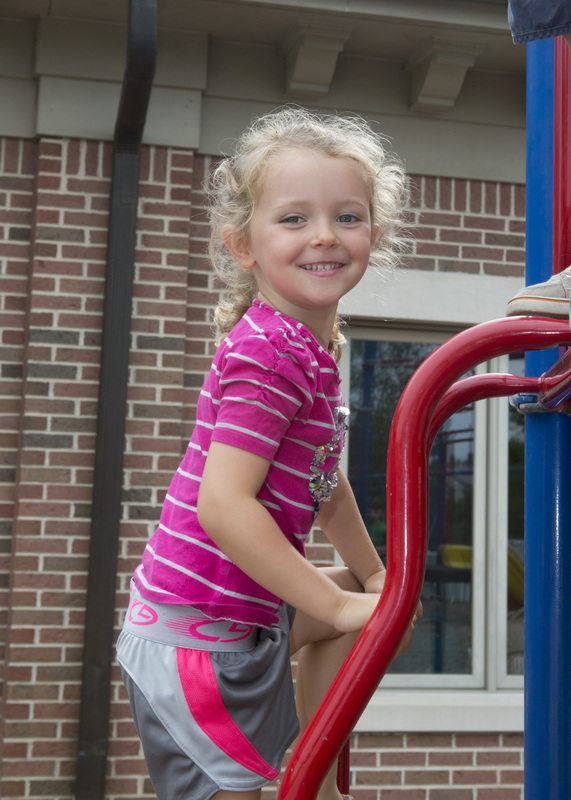 Our Transition program is for ages 2 ½ to 3 years old and is especially planned for potty-training. We continue a similar curriculum to our toddler program, as well as, introduce the potty. The ratio in our Transition classroom is eight children to one caregiver. The children become more independent and are encouraged to explore on their own terms. Daily sheets are provided to show you the highlights of your child's day. This program will prepare your child for preschool and allow them to grow just a lil’ bigger. Our Preschool program is designed especially for the 3 year old. The ratio in our Preschool classrooms is ten children to one teacher. Our hands-on daily activities allow these enthusiastic children to explore and learn in a fun-filled environment that keeps their interest. Our literacy based program stimulates social, emotional, physical, intellectual, and language development. Daily emphasis will be toward developing the skills necessary to begin to write by using such tools as markers and crayons, scissors, manipulatives, paper punches, paint brushes, etc. Focus will also be given to listening skills and beginning math skills. Your child will also enjoy and explore through music and movement, stories that are both read or sometimes just created, science and the wonder of it, and of course just playing with friends. Our Pre-K class is designed especially for the 4-5 year old. Our literacy based program promotes social, emotional, physical, intellectual, and language skills. Focus will be given to skills necessary to move on to Kindergarten such as memory development, math skills, spatial relationships and problem-solving strategies. Your child will be encouraged to explore and discover, to be challenged to do things their self, and begin to solve problems that arise. They will also participate in dramatic play, express creativity through imagination, and make friends through free play. Our program also includes occasional field trips based on our themes. The ratio in our Pre-K classrooms is twelve children to one teacher. We believe that our small class sizes help young children concrete on hands-on experiences and a chance to explore the community. Lil' Peoples' Place offers a convenient Before and After School Latchkey Program for school-age students. Transportation to and from most Clarkston Community Elementary Schools is available. Our program will provide age-appropriate activities and games, outdoor play time (weather permitting), and homework assistance as needed. Latchkey also serves breakfast and/or afternoon snacks. Children that are enrolled in Latchkey are eligible to attend on school closing days and holidays. For information about our fun-filled Summer Camp designed specifically for your active school-age student, please see our Summer Camp Page.